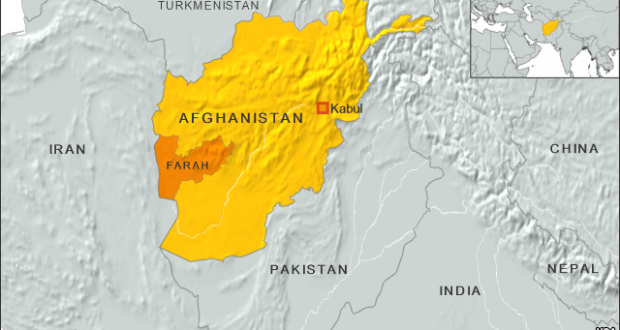 A few days earlier the Kabul administration officials announced that up to 200 foreign invaders had arrived at Farah and will help them in securing the province. The enemy greatly publicized this announcement and used it to raise the spirits of their morale-lacking troops. The Mujahideen of Islamic Emirate also countered the enemy courageously and repeatedly targeted the provincial airbase with missiles and other attacks from the day the invaders setup camp. Upon sustaining heavy losses, the 200 newly deployed foreign troops left Farah towards Kabul yesterday without paying any heed to the calls of their stooges. Farah provincial capital has been under the heavy attacks for the past 3 months with Mujahideen making progress with each passing day, inflicting heavy losses on the enemy and overrunning security posts. Lately, the enemy was thrown into a state of panic and began imploring the foreign forces to send troops for their support or risk the fall of the province to the Mujahideen. But the invading troops – after observing the magnitude of Mujahideen attacks, the siege of the city and the weak disoriented state of the stooge forces – also lost patience, withdrew with their heads hanging low after spending a few limited days and left their stooges at the mercy of the Mujahideen.